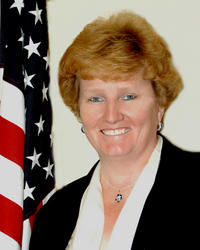 Heidi W. Gerding, President & CEO of HeiTech Services, Inc. It is an honor to be selected by Ernst & Young as one of the top business leaders in Maryland. Synonymous with entrepreneurial success, this award affirms HeiTech Services’ ability to deliver on its commitments to customers and employees. HeiTech Services, Inc., today announced that President & CEO Heidi W. Gerding is a finalist for the Ernst & Young Entrepreneur Of The Year® 2010 Award in the Maryland Region. According to Ernst & Young LLP, the awards program recognizes entrepreneurs who demonstrate extraordinary success in the areas of innovation, financial performance and personal commitment to their businesses and communities. Ms. Gerding was selected as a finalist by a panel of independent judges. Award winners will be announced at a special gala event on June 18, 2010 at the Baltimore Marriott Waterfront. As President & CEO of a services company, Gerding realizes her most valuable assets are her employees and the company’s reputation with customers. She has measured HeiTech Services’ growth and success over the past ten years not only by profitability, but also through returning customers, outstanding past performance references, and excellent employee retention. Through Gerding’s leadership, independent thinking, and dedication, the company has carefully balanced the needs of both employees and customers by implementing sensible solutions that help customers achieve their missions and developing innovative approaches to employee motivation and retention. Heidi Gerding is an entrepreneur, accomplished business leader, advocate of small business enterprise — and wife and a mother of four. Her recent recognition includes the 2010 SmartCEO Circle of Excellence Award for Client Relations; the 2010 SmartCEO Future 50 Award; the 2008 U.S. Department of Veterans Affairs Enterprising Veteran Award; the 2008 SmartCEO Brava Women’s Business Achievement Award; the 2007 U.S. Department of Homeland Security’s Mentor Protégé Team Award; and a host of other customer appreciation and industry awards. The Ernst & Young Entrepreneur Of The Year awards program celebrates its 24th anniversary this year. The program has expanded to recognize business leaders in over 135 cities in 50 countries throughout the world. Regional award winners are eligible for consideration for the Ernst & Young LLP Entrepreneur Of The Year national program. Award winners in several national categories, as well as the overall national Ernst & Young Entrepreneur Of The Year award winner, will be announced at the annual awards gala in Palm Springs, California on November 13, 2010. The awards are the culminating event of the Ernst & Young Strategic Growth Forum, the nation’s most prestigious gathering of high-growth, market-leading companies. HeiTech Services is a solutions-driven government contractor headquartered in Landover, Maryland that specializes in delivering information technology, management consulting, and professional services. HeiTech Services is a woman and “verified” service disabled veteran owned small business, certified by the Small Business Administration as a small disadvantaged business. The company’s revenues for 2009 exceeded $40 million. For more information about HeiTech Services, visit http://www.heitechservices.com. Ernst & Young’s Entrepreneur Of The Year® is the world’s most prestigious business award for entrepreneurs. The award makes a difference through the unique way it encourages entrepreneurial activity among those with potential and recognizes the contribution of people who inspire others with their vision, leadership and achievement. As the first and only truly global award of its kind, Ernst & Young Entrepreneur Of The Year® celebrates those who are building and leading successful, growing and dynamic businesses, recognizing them through regional, national and global awards programs in more than 135 cities in 50 countries.